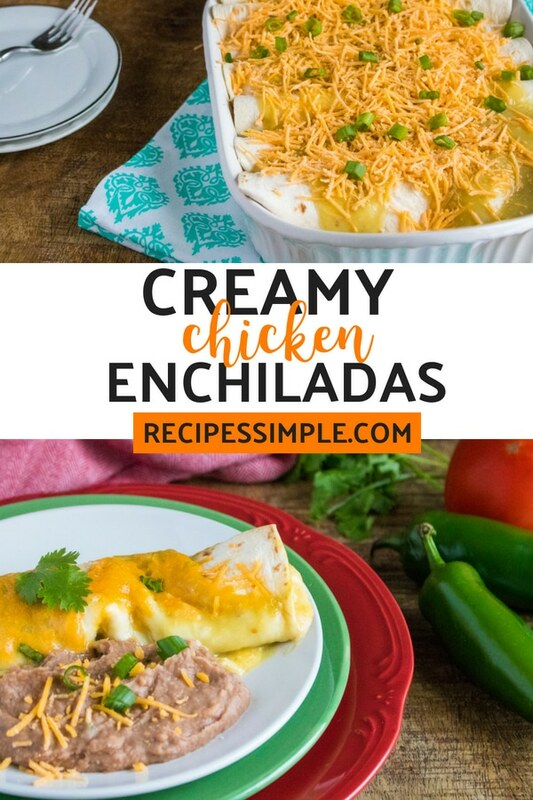 Only six ingredients is all that is needed to make these delicious and easy creamy chicken enchiladas. I think this might be our favorite chicken enchilada recipe to date. They are so simple and easy to make, and the flavors are on point. 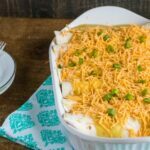 The sour cream and cream soup really give these enchiladas a ton of flavor and lots of creamy texture. 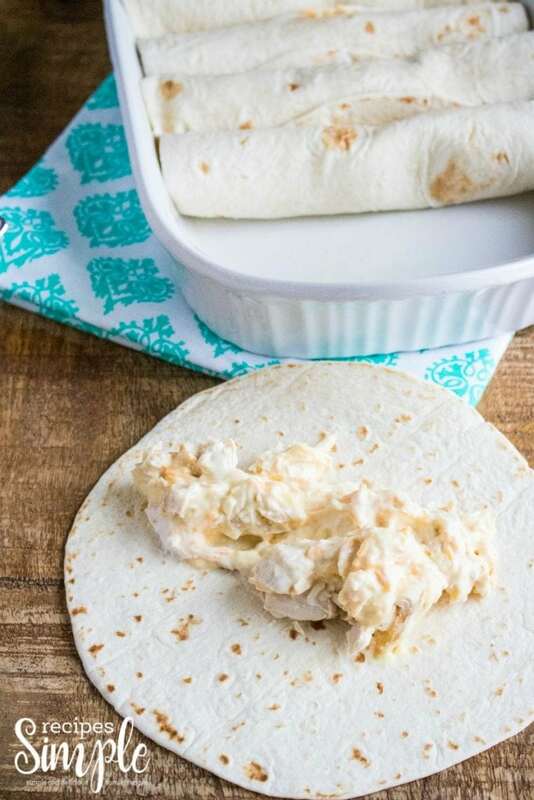 Whip these up in no time and watch this recipe become an instant family favorite. Keep scrolling down for the printable recipe. Just a few simple ingredients and you can create a dinner to be proud of. These chicken enchiladas are so easy to make, but they taste like you slaved away in the kitchen all day. Preheat your oven and then begin prepping your enchiladas. 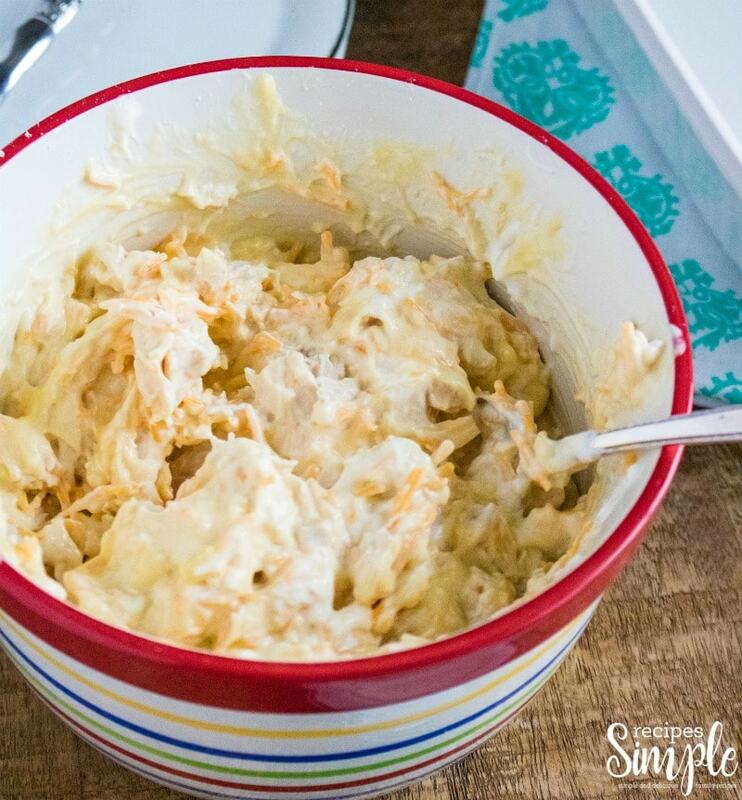 Simply mix in your cooked shredded chicken, soup, sour cream and half the cheese. Stir well and set aside. Next grab your tortillas and divide out the chicken mixture to fill each tortilla. This makes around 8 enchiladas. Before placing them in the 9×13 pan, make sure to spray with cooking spray so they won’t stick. 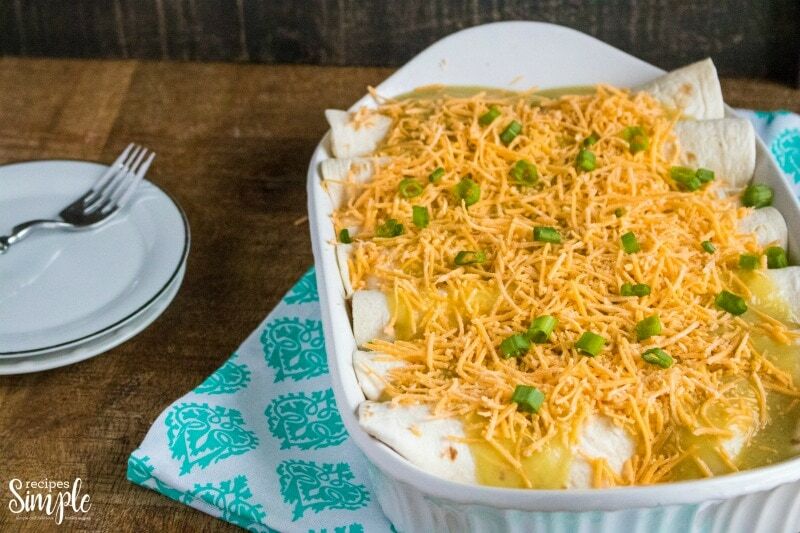 Top with the leftover shredded cheese and enchilada sauce and bake for 30 minutes. Then serve with your favorite Mexican side dishes or eat alone. 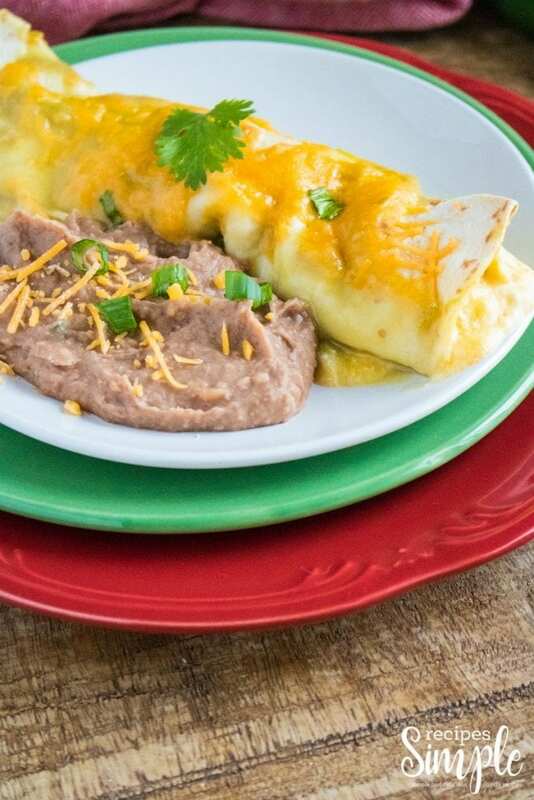 Only six ingredients is all that is needed to make these savory and creamy chicken enchiladas. I think this might be our favorite chicken enchilada recipe to date. They are so simple and easy to make, and the flavors are on point. Chop chicken up into bite sized pieces. Stir together chicken, sour cream, soup, and half of the cheese. Divide chicken mixture between the 8 tortillas and then roll up each tortilla. Spray a 9x13 baking pan with cooking spray and then line the baking pan with the rolled up enchiladas. Pour the enchilada sauce over the top of the enchiladas and top with the remaining cheese.